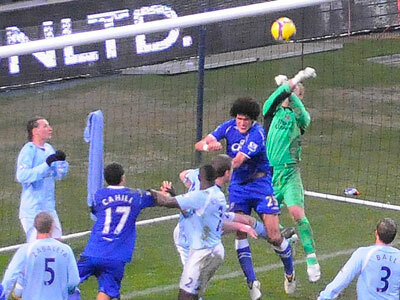 Now just hovering above the relegation zone City once again failed to score. 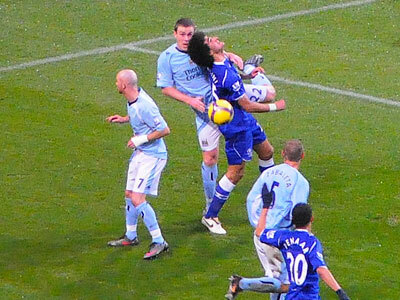 City did not deserve to lose to the last minute Everton header by Cahill and we did have a few chances in the first half but if you fail to take them then woe betide you in the Premiership. 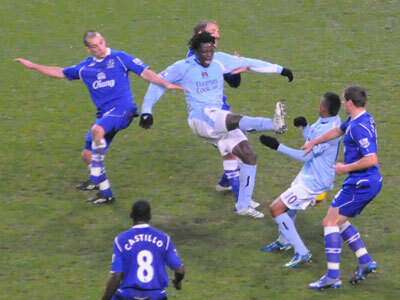 Everton were well organized and we just did not have enough guile to break their defence down . The failure to penetrate visiting defence's is now becoming very worrying. How we miss Petrov down the left wing! The lack of punch up front and failure to increase the tempo when needed is becoming a habit and there is a general lack of positive thought when the ball is passed sideways or backwards as the often forwards fail to either run towards a pass , run into space , or run into positions to deceive defenders. I just hope we can sign quality players in January - I feel we need 5 or 6. I doubt whether we will sign all we want though. 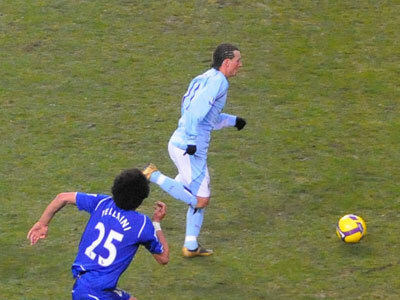 Robinho returned from injury and Elano was preferred to Vassell. 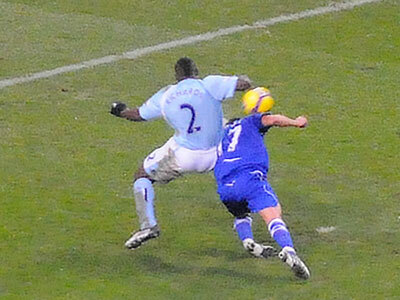 .... and interpassing with Benjani left SWP with a chance which went wide. 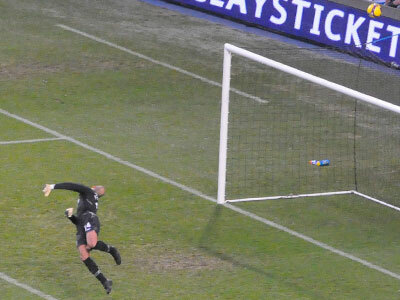 Everton were quick to reply and Osman just shot wide though Hart had the effort covered. 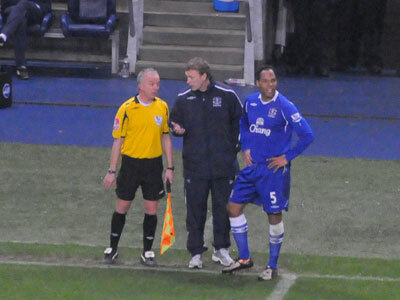 Everton manager David Moyes is chatting to the linesman about the credit squeeze or is he still moaning about the penalty is wasn't given! 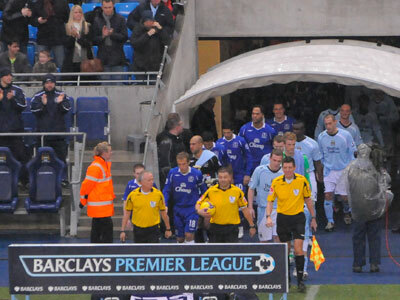 So half time came at 0-0 and Benjani was replaced by Jo. 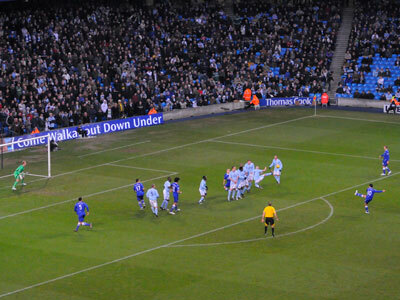 A break by City caused Howard to coming surging out of goal and kicking the ball almost into the third tier. 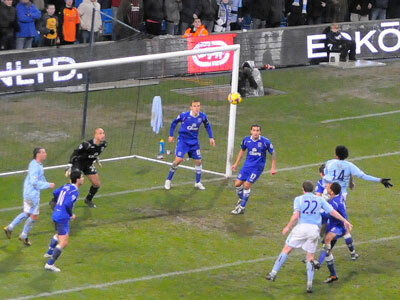 Jo attempts a header while an Everton defender signals a six!